RFID (Radio Frequency Identification) is the latest technology to be used in library theft detection systems. 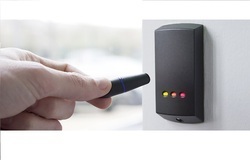 Unlike EM (Electro-Mechanical) and RF (Radio Frequency) systems, which have been used in libraries for decades, vehicle Authorization for Parking, RFID-based systems move beyond security to become tracking systems that combine security with more efficient tracking of materials throughout the library, including easier and faster charge and discharge, inventorying, and materials handling. 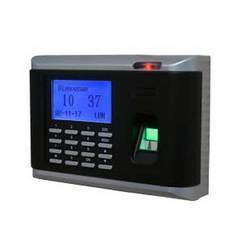 Built in embedded standalone module with high performance , big capacity FLASH and CMOS chips, it is easy to integrate with various systems.
. Be equipped with system of calendar and is on an equal footing with PC.
. Sensor with quality image, accepts dry, wet fingers.
. Support 360-degree rotation identification, easy to use.
. Adjust image distortion, assure fingerprint matching consistency. . 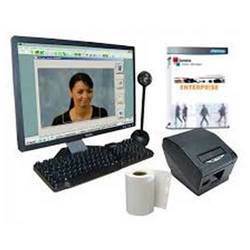 Accept ODM or OEM, providing system local voice, menu language, software analysis, casing-making.
. It is a good option for enterprise / factory / tax / bank use. Language and voice: English, French, Spanish, Czech, Indonesian, Portuguese and Turkish etc. 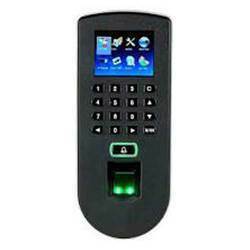 Biometric Fingerprint Attendance system is business attendance system for employees. 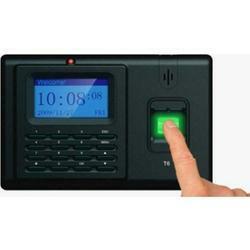 System records attendance data of employees based on registered fingerprints. It is interactive GUI for adding efficiency and for automating organization procedures. While tracking employee attendance is critical to organizations, it need not mean wasting inordinate amount of time in administration, manual collation, and reporting. Unauthorized absence costs you money, prevents effective administration of leave policies and lowers employee morale. 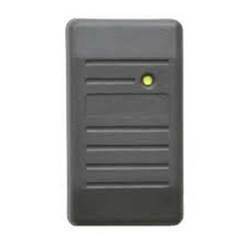 For security managers, dealers, integrators and OEMs, HID Smart cards and readers are recognized as the industry standard for physical access control. 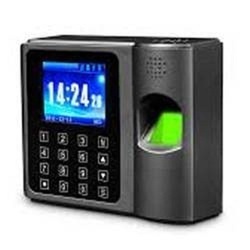 Access control security and information security, access control (AC) is the selective restriction of access to a place or other resource. The act of accessing may mean consuming, entering, or using. Permission to access a resource is called authorization. Visitor management is the recording and collection of visitor data, either manually or through automation, for the purpose of knowing who is in the facility, who they are visiting and how long they spent there. In many facilities, visitors are still registered using a handwritten paper log. While this method is perceived as quick and easy, it provides virtually no security and leaves visitor information available for anyone to see. Automated visitor management systems lend a more professional appearance, enhance security and meet compliance mandates for the collection and auditing of visitor data. Computerized automatic In & Out entry registration. 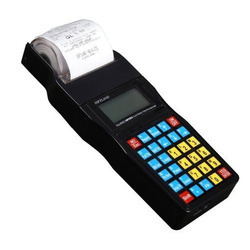 Replaces your manual log book entry. Automatically assign visitor gate pass. 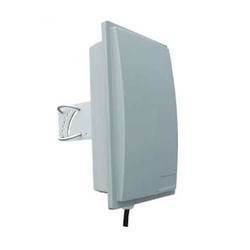 Linked to the door bell by wire or wireless with accordance to customer requirement and support the switch for opening the door. 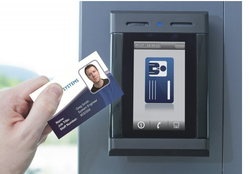 We take pleasure to introduce ourselves as one of the leading organizations, engaged in offering a comprehensive range of Access Control Turnstile. It can be used in shopping mall, office, and shop for entrance, which will make your office look more comfortable. 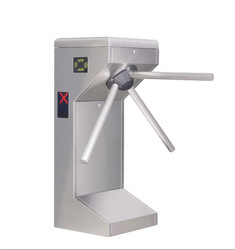 Our offered turnstile is highly demanded in the market for its compact design, corrosion resistance, and durability. Leveraging upon our technologically-advanced production facility we provide a super quality of Automatic Swing Doors that are power assisted doors used in offices. The offered doors are designed by using the best quality raw material and modern technology in line with industry norms. Moreover, these doors are checked against different quality measures so as to ensure their quality. We offer these doors in diversified specifications and sizes to meet the needs of our clients. 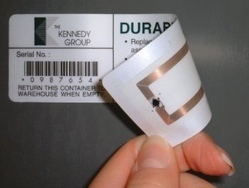 A passive tag is an RFID tag that does not contain a battery; the power is supplied by the reader. 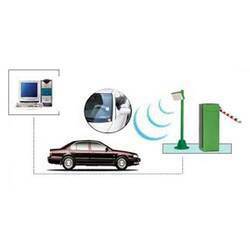 When radio waves from the reader are encountered by a passive RFID tag, the coiled antenna within the tag forms a magnetic field. The tag then sends the information encoded in the tag's memory. Swing Gates are designed by using the best quality raw material and modern technology in line with industry norms. Moreover, these doors are checked against different quality measures so as to ensure their quality. 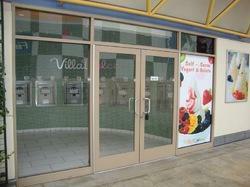 We offer these doors in diversified specifications and sizes to meet the needs of our clients. With the support of our experts and sophisticated in-house facilities, we have been able to offer an array of Transparent Rolling Shutter. Keeping in mind, needs from our prestigious clients, this rolling shutter is manufactured by our adroit professionals using superior quality raw material and modern techniques. 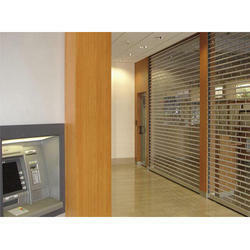 Apart from this, our customers can avail this shutter from us in different designs and specifications. 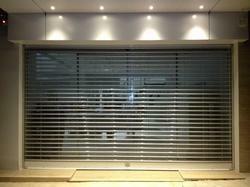 As one of the renowned entities in this domain, we are offering our clients the finest quality Polycarbonate Shutter. 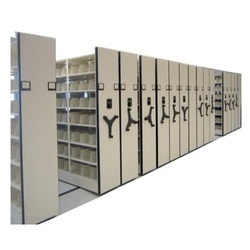 We are instrumental in offering the predominant quality grouping of Mobile Shelving System. The offered racking is produced using ideal quality crude material and front-line innovation, in accordance with industry standards. We gave racking is tried against various quality measures to guarantee its quality. Aside from this, gave racking is accessible in various hues, sizes and particulars to provide food the differed requests of the customers.